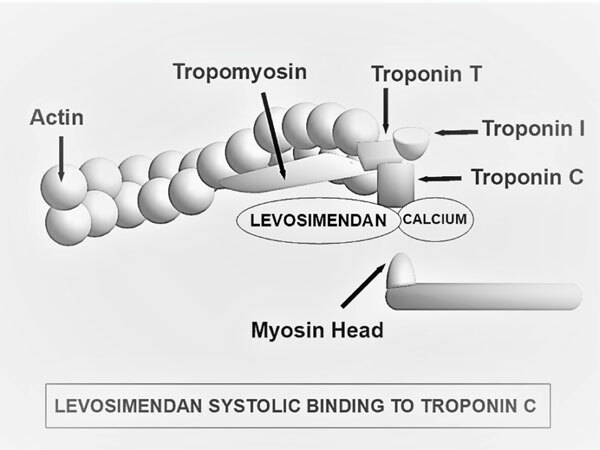 Background: Levosimendan is a calcium sensitizer drug causing increased contractility in the myocardium and vasodilation in the vascular system. It is mainly used for the therapy of acute decompensated heart failure. Several studies on animals and humans provided evidence of the cardioprotective properties of levosimendan including preconditioning and anti-apoptotic. In view of these favorable effects, levosimendan has been tested in patients undergoing cardiac surgery for the prevention or treatment of low cardiac output syndrome. However, initial positive results from small studies have not been confirmed in three recent large trials. Aim: To summarize levosimendan mechanisms of action and clinical use and to review available evidence on its perioperative use in a cardiac surgery setting. Methods: We searched two electronic medical databases for randomized controlled trials studying levosimendan in cardiac surgery patients, ranging from January 2000 to August 2017. Metaanalyses, consensus documents and retrospective studies were also reviewed. Results: In the selected interval of time, 54 studies on the use of levosimendan in heart surgery have been performed. Early small size studies and meta-analyses have suggested that perioperative levosimendan infusion could diminish mortality and other adverse outcomes (i.e. intensive care unit stay and need for inotropic support). Instead, three recent large randomized controlled trials (LEVO-CTS, CHEETAH and LICORN) showed no significant survival benefits from levosimendan. However, in LEVO-CTS trial, prophylactic levosimendan administration significantly reduced the incidence of low cardiac output syndrome. Conclusions: Based on most recent randomized controlled trials, levosimendan, although effective for the treatment of acute heart failure, can't be recommended as standard therapy for the management of heart surgery patients. Further studies are needed to clarify whether selected subgroups of heart surgery patients may benefit from perioperative levosimendan infusion. Levosimendan, low cardiac output syndrome, cardiac surgery, cardioprotection, inotropic drug, myth or reality.